Lifewater’s program in northern Uganda is helping restore the dignity of men, women, and children in Agali Sub-County and providing hope for a brighter, healthier future. 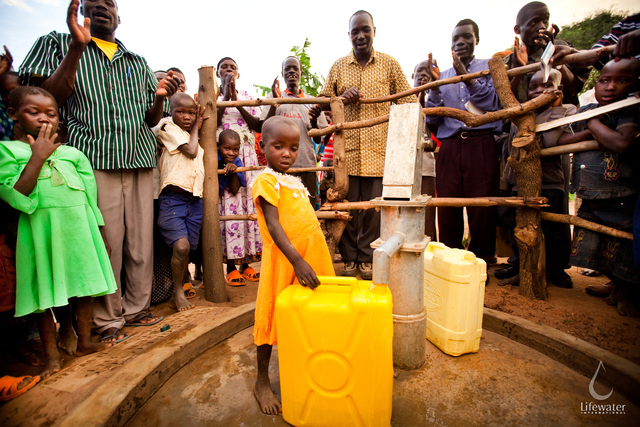 This project will increase access to clean water and safe sanitation. This project will increase access to clean water and safe sanitation and will help school children and their families to transform their hygiene practices that, until now, have contributed to the spread of disease. In addition, this project targets previously overlooked widow-led and orphan-led households. From the early 1990s through the early 2000s, northern Uganda was devastated by violent conflicts between the religious rebel group the Lord’s Resistance Army (LRA), and government forces. Now the imminent threat of the LRA has subsided, however the effects of the war are causing ongoing suffering. Communities are rebuilding, but decades of war destroyed basic infrastructures, disrupted traditional farming practices, and led to a crippling cycle of dependence on foreign aid. Decades of forward development, community infrastructure, and common practices were destroyed in the war, stripping men, women, and children of the pride and dignity they once had. This project aims to restore dignity by helping communities regain access to safe water, construct appropriate sanitation facilities, and re-instill communities with knowledge of hygiene practices. Lifewater and Divine Waters aim to increase Agali’s level of access to safe water to 80 percent and will increase sanitation and hygiene coverage to 70 percent through an integrated water, sanitation, and hygiene program. The project will increase access to safe water, raise knowledge and awareness of WASH practices, implement a school WASH program, and build the capacity of Divine Waters to increase effectiveness of project implementation. 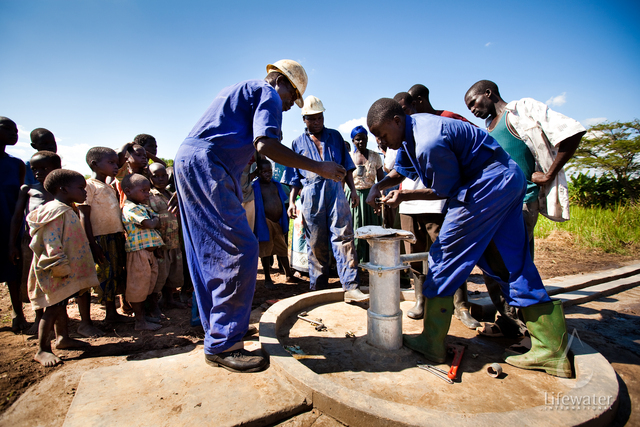 Lifewater estimates the annual maintenance and repair costs per borehole to be between $200 - $600 in northern Uganda based on previous projects. Lifewater and our partner lead a workshop in each village prior to a water pump being drilled and/or repaired whereby the community sets up a water source committee. The community agrees on an amount that each household will contribute monthly, most often around $.40 per household, and a treasurer is elected to collect the dues. Given an average monthly household contribution of $.40 and an average of 85 households contributing per water source (based on government and project data), the average community with a water source from this project is collecting a total of $34 per month, or $408 per year, which is enough to cover the average annual expenses. Lifewater partnered with Divine Waters Uganda (Divine Waters), an indigenous non-governmental organization (NGO) based in Lira and founded by Mr. Deleo Ocen in 2001. In its early years the organization worked under government contracts but widespread government corruption led Deleo to terminate those contracts. Lifewater and Divine Waters maintained contact throughout the formation of Divine Waters and into its early years. 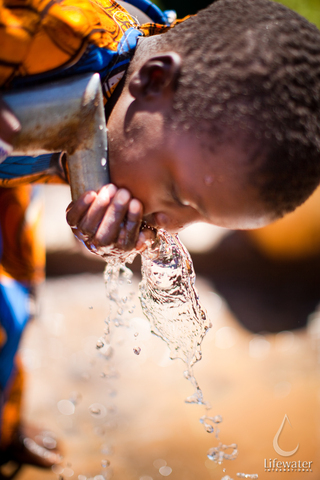 In 2005, Lifewater began retraining Divine Waters in hygiene education and sanitation. Divine Waters has excellent relationships with the local and regional government authorities as well as a positive reputation with local communities.